MCC Accountants, one of the leading chartered accountant practices in the North West, was formed in 2009, with the aim of providing comprehensive business tax and management accounting solutions for small companies, sole traders and self employed professionals. From just 15 clients in 2009, we now work with more than one hundred, delivering individually tailored services to a combination of sole trader, partnership and limited companies. As well as this, we have a strong vision for future growth as we add the provision of auditing, business consultancy and outsourcing to our portfolio of services. Our target is to increase the number of clients we work with in and around Salford and Manchester to 150 by the end of 2014. Our team of dedicated and highly qualified, certified management accountants, many of whom are experts in their chosen field, can provide advice and guidance to assist you and your business. Whether you’re a sole trader, SME or a larger organisation, our objectives are clear: to build a strong client base, enhance staff development and create long and profitable relationships that will see you and your business thrive. Most importantly, we will endeavour to maintain the exceptional levels of service and value for money that has secured our solid reputation within the industry as one of the top accountants in Manchester. 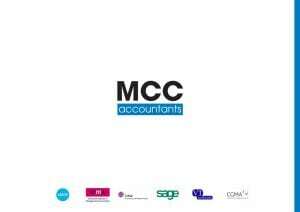 To make an appointment, please fill out our contact form, call 0161 707 1500 or email info@mccaccountants.co.uk. Your enquiry with be dealt with promptly and confidentially.